Your website is like a doorway through which potential customers can enter your virtual store, and it is the main tool for your business to use to get more clients. As this is the case, your website must be fully equipped with the right elements to help your business reach its bottom line. But, “what is the most important element”, you ask? They’re the #1 element you need on your website in order to generate the most leads possible and increase conversions. They help prospects trust you. Today’s consumers require social proof validating that your business and product or service are worth their money. This proof doesn’t need to come from people they actually know; 88% of consumers trust online reviews as much as personal recommendations. And if that’s not enough to prove the value of testimonials, consider this: 72% of consumers will make a purchasing decision after reading a positive review! They show who your clients are and that they appreciate you. Seeing how existing customers are using your product or service helps your prospects decide whether it’s relevant for them, too. And if it is, seeing the positive remarks your clients have to say about you will help show them that you’re the right choice. This all links to the psychology behind social proof, and specifically the phenomenon of “implicit egotism,” which says that we inherently gravitate toward the choices made by people who resemble us. Testimonials improve your SEO for free. Regularly updating your testimonials gives search engines fresh, keyword-rich content that will boost your ranking in SERPs. The best part? You don’t even have to write that content yourself. It’s great, virtually free SEO content that helps your business get noticed. Testimonials tell your prospects what they can expect. Your marketing materials and website content are one thing. But reading comments from people who have real experience with your product or service will go much farther in helping your prospects form their expectations about you. Simply put, featuring testimonials is now a must-do practice for any business seeking to generate leads through their website, and with good reason: it’s an easy measure that’s also among the most powerful and useful ways to gain conversions. But if you want testimonials to work for you, you need to know how to incorporate them the right way. Put them on your homepage. Your homepage is often the first place your site visitors land, so you should include testimonials there – front and center. Make sure you place homepage testimonials above the fold, so they’re visible right away. Include them on pages with forms. No part of your website is off-limits when it comes to featuring testimonials, and your landing pages and contact page (form pages) are also prime real estate. Seeing raving reviews about your company will give visitors that extra push to fill out the forms. Incorporate them on your service or product pages. The key to including testimonials on your service or product pages is keeping it relevant, and placing them on pages that relate to the same product or service being discussed. For example, your prospects won’t appreciate good words about your content writing services if they see them on your web development services page. You can make sure to feature testimonials in the right places by using a customizable testimonial widget. Make sure to use the client’s full name and picture. If you’re wondering how to build trust using testimonials, this is your answer. 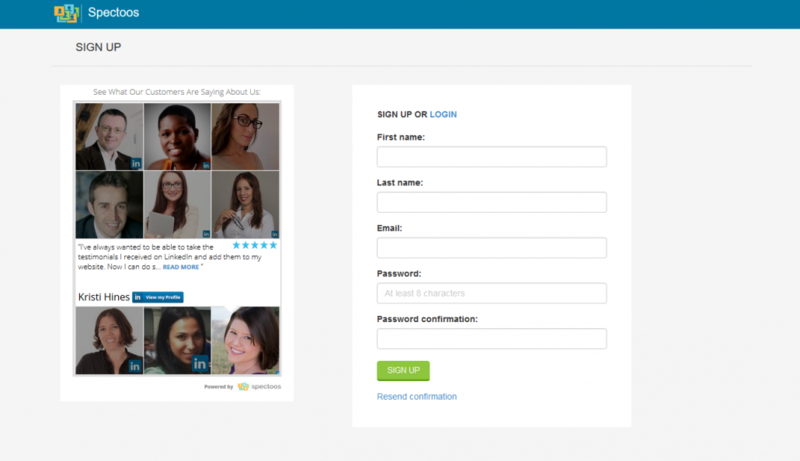 When site visitors see a full name and picture alongside a testimonial, it immediately assures them that the testimonial is real. Take this trust-building technique a step further by also including a link to the reviewer’s online social media profile. Use testimonials that are specific. “Great product” testimonials are nice, but in-depth testimonials that give more specifics about why the product or service was so great are gold, as they tend to be more effective in motivating people to make purchasing decisions. If a client has agreed to review you, don’t hesitate to ask them to provide more details about how your product helped them solve an issue. 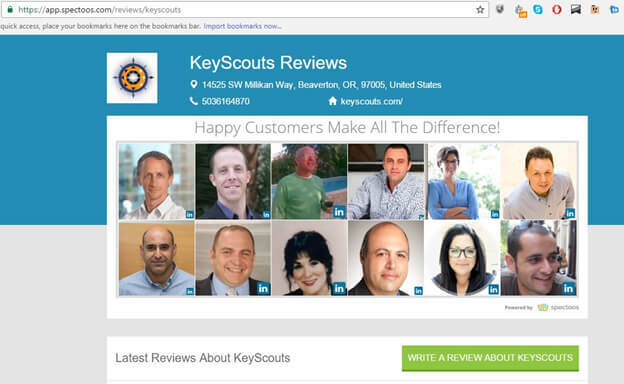 Use testimonials on a dedicated SEO mini-site. The best way to fully realize the SEO power of your testimonials is by displaying them on a dedicated mini-site. This goes a long way toward getting you ranked higher on the SERPs and helping your prospects find you. The Spectoos testimonials widget includes this feature, saving you the work of setting up a mini-site yourself. There are loads of testimonial tools available to help you incorporate this important element on your website. The Spectoos testimonials widget stands out among them not only because it creates a mini-site for you, but also because of its unique approach to displaying testimonials and the tools it offers for managing and requesting testimonials from your clients. Sign up for Spectoos today to experience all of the benefits it has to offer and generate more leads. Are Testimonials Really That Important for a Business Website?